Mistura is a small Peruvian place across from BayWolf on Piedmont Ave specializing in Pollo a la Brasa, or Peruvian rotisserie chicken. 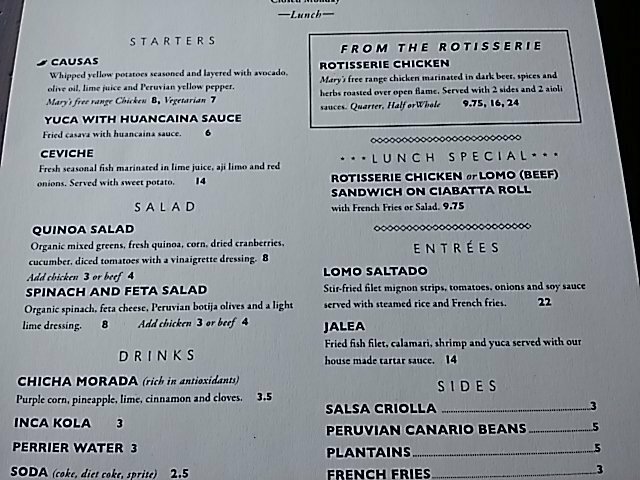 In addition to the rotisserie chicken ($9.75 / 16 / 24 for 1/4, 1/2, whole + 2 sides and 2 sauces), the short lunch menu also has chicken and lomo (beef) sandwiches for $9.75, Lomo Saltado for $22 (listed as $16 on the online lunch menu), and Jalea a fried seafood dish, along with 2 apps and 2 salads. 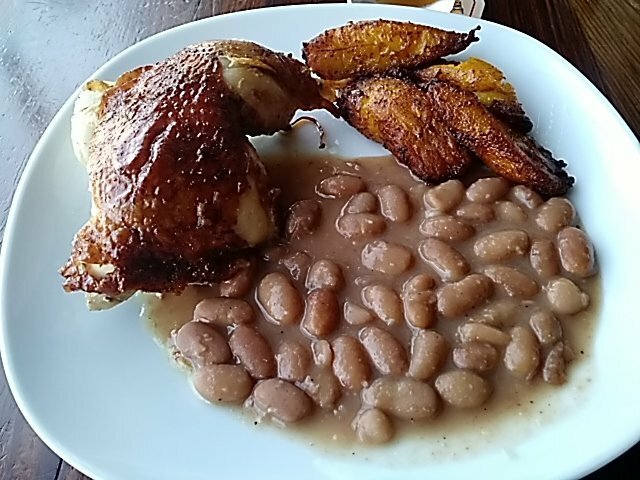 I got the 1/4 chicken with plantains and Peruvian canario beans. 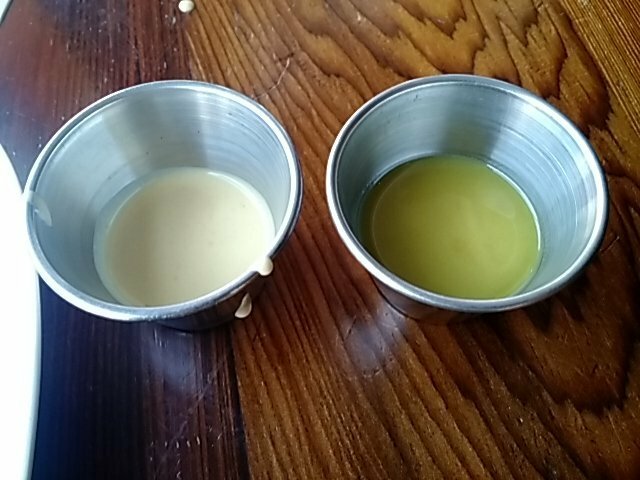 They asked if I wanted spicy or mild sauces and I said mild and got Huancaina (yellow pepper & cheese) and a honey-mustard type that I can’t remember the name of. 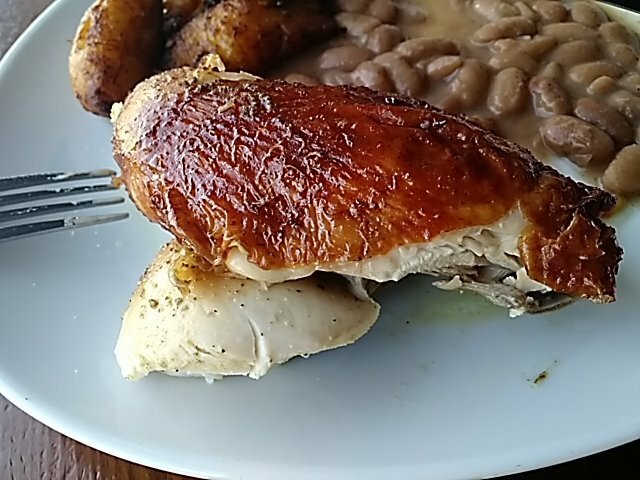 The chicken was moist and aggressively seasoned with a few pretty salty bites. The skin was fully rendered, but not crispy. I liked the carmelization on the plantains. The beans were OK, but not memorable.